What is State and Local Taxes (SALT)? Taxpayers who itemize will be able to deduct their state individual income, sales and property taxes up to a limit of $10,000 in total starting in 2018. Prior to 2018, we did not have any limits on this deduction. Remember when we first heard about the State and Local Taxes (SALT) limitations real market and/or general market was very skeptical about the futures of high-end homes. Did SALT crush the high-end housing market in Northern Virginia? We are well into our 2018 spring market. Here is a comparison if this SALT has impacted Northern Virginia real estate market. In Northern Virginia, Fairfax County has a majority of high dollar amount homes especially inside the beltway areas of Mclean, Vienna, Arlington, and Oakton. As you can compare the low inventory market is reflected in this high-end price point housing market in Fairfax County. Okay, so low inventory is okay. Are these homes getting sold? It is one thing to list the home for sale but irrelevant if they sit on the market or essential did not sell. If numbers do not lie we can clearly see the demand for over $1million dollar homes is consistently increased in 2018 over 2017 housing market in Fairfax County Virginia. Remember with the limitation on the SALT tax came other tax benefits that helped to offset and not crush the housing market in the Northern Virginia region. The other variable that has helped to sustain the housing market is the tight inventory. Due to tight or low inventory, many of homes that were sold last year around $900K are now selling for over or around $1 million. The demand has pushed the average sales prices of these homes. New construction in some of prime Fairfax county location has seen a dramatic cost increase in the land prices which has lead to increase in the sales price of the custom homes. However, demand for custom home has been growing. The other reason may be low unemployment rates in the region. I personally had more relocation clients in past year than in any other years of my real estate career. These employees are earning well in six figures and want to own rather than rent in the area. 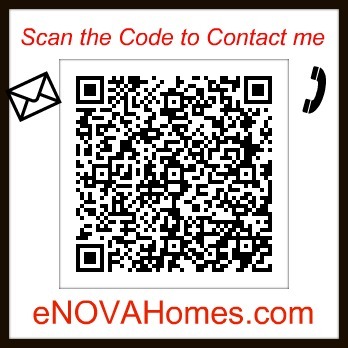 If you are planning to buy over $1 million dollars home in the Northern Virginia area do share your experience. The above numbers were gathered from http://www.getsmartcharts.com/statistics.